Any Pennsylvanian willing to spend several hundred dollars on a handgun, rifle or shotgun also needs to put down $5 for a background check. Depending on your viewpoint, that’s either too much money for a constitutional right, or a modest cost to ensure public safety. One response is to scrap Pennsylvania’s background check system entirely, something Sen. Camera Bartolotta, a Washington County Republican, proposed in a bill last year. She wants the FBI to take over, putting Pennsylvania on par with most other states. It’s a national system already paid for by federal taxes, with no added expense to the seller or consumer, and with fewer outages. The state background check system has cost tens of millions of dollars to operate over 20 years, and fees have never covered the cost. The figures reflect fiscal years 1995-96 through 2014-15. Note that the Pennsylvania State Police often reserves some fee revenue to be used for administering the system in the next fiscal year. Some Second Amendment advocates don’t take kindly to the notion of raising the price, while other Pennsylvanians worry that relying on free national background checks will result in weaker screenings, even as a nationwide debate rages on how to keep the wrong people from getting powerful weapons. The Pennsylvania State Police, which administers the background checks, has routinely said the national system is missing records and allows for less thorough investigations of red flags. Meanwhile, U.S. Attorney General Loretta Lynch expressed “profound gratitude” for the 13 states that conduct their own background checks, specifically saying that they can be more thorough than the national system. Too costly or a good deal? Since its inception 20 years ago, the Pennsylvania Instant Check System (PICS) has cost at least $90 million. Fees have covered less than half of that. The rest comes from state funds, meaning all taxpayers are subsidizing the system. In the 2014-15 fiscal year, the state system cost $6.8 million — mostly for salaries and benefits for about 100 state police employees — while fees that year for roughly 676,000 gun sales and transfers only brought in about $3 million. That’s $2 for every background check, plus an added $3 if it’s a taxable sale. For context, spending one hour at a shooting range could run around $12. Ammo might cost $20, and a firearm itself could cost some $200, or more than $1,000, depending on the type. Additional fees from sellers, perhaps $40 or $50, are also common. Of 13 states with their own systems, Pennsylvania’s fees are on the low end, slightly above Illinois, which charges $2, as does Virginia if the buyer’s a resident. Nevada charges the most for background checks at $25. Bartolotta said raising fees isn’t the answer. Not when there’s already a national system that she thinks can be just as thorough, and more reliable. “We want to get rid of an ineffective and costly system,” Bartolotta said. But supporters of the state system say a modest fee increase would make it self-sustaining, or closer to it. The state police already use the national system but also search several state databases for additional records related to prohibited offenses and protection from abuse orders, often used in domestic violence cases, which might not appear in a national search. She’s not looking for a big hike — maybe something like an additional $1 per background check. The impact of an increase is no mystery. It’s something that gets scrutinized every five years by the Legislative Budget and Finance Committee whose reports are referenced by both opponents and supporters of the state system. Every time, the committee states that a fee increase is needed if the state wants PICS to be self-sustaining. Most recently, the committee said the magic number is $11. That’s a $6 increase, making the total cost per background check equal to the fee for replacing a state license plate. Phil Durgin, executive director of the committee, said there’s never been a serious effort to raise fees. “If you’re buying the gun, you’re getting a pretty good deal,” Durgin told PublicSource. Gun advocates say scrapping the state system would improve efficiency while eliminating the cost. “We’ve paid an exorbitant amount of money to create a system that is doing duplicative work,” said Kim Stolfer, chairman of Firearm Owners Against Crime, a gun advocacy group based near Pittsburgh. As a prominent expert on gun laws, Stolfer helped write Bartolotta’s bill, as well as a similar bill sponsored last year by House Speaker Mike Turzai, R-Allegheny. Neither has left committee. Stolfer said he believes there’s no reason records checked through PICS can’t be transferred to the federal system, at least if the state police wanted them to be included. He said it’s a matter of will, not an insurmountable obstacle. The state police sees it differently. At any given time, the state system can check 1,300 to 1,400 protection from abuse (PFA) orders involving individuals that the state police say cannot be seen in a national check. The PFA does not have to be filed with a Social Security number or birth date for the person it’s against, but national background checks rely on these identifying numbers. Major Scott Price, director of the state police’s Bureau of Records and Identification, said the problem could be remedied if those numbers were required to get a protection order. But that’s not a good fix, he said, because it could prevent someone from getting the order if they don’t know the information. 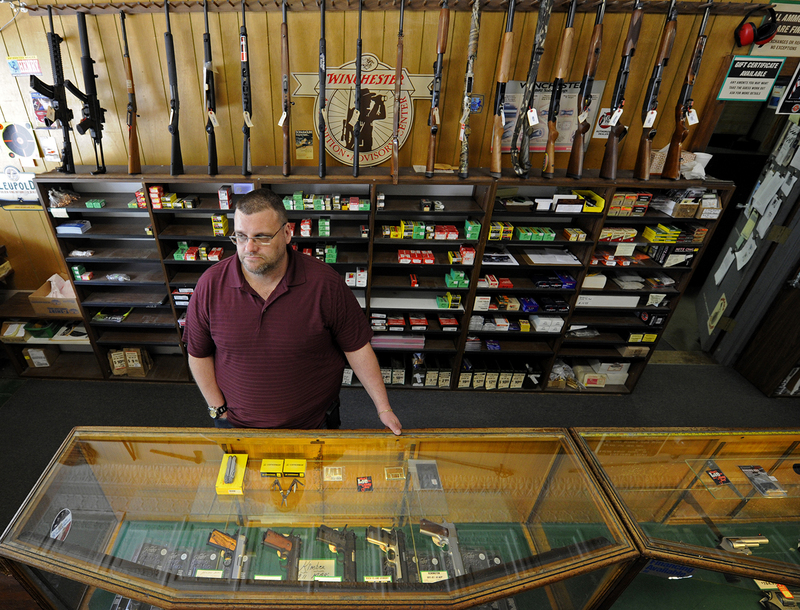 In Pennsylvania, the PFA might prevent the individual from getting a gun. But in another state — or if Pennsylvania began to rely on FBI background checks — the system might not even know about the order. That’s an issue identified roughly 20 years ago. Price said the state police are still working with the federal government on a technical solution. Other records, like those related to juvenile offenses, could be transferred to the National Instant Check System (NICS) but aren’t there now. Developing a conduit to get them there could take as long as two years, Price said, but it’s something the agency is working on. When asked about the gaps, Bartolotta said her office is also in contact with the federal government to ensure no records would be lost by switching systems. A representative from the FBI said the bureau does not comment on the pros and cons of state systems. Meanwhile, in a January letter sent nationwide, including to Gov. Tom Wolf, U.S. Attorney General Loretta Lynch praised states that run their own background checks and encouraged more states to do so. In Pennsylvania, the majority of checks are approved in about a minute. But in 2014, PICS denied 13,178 transactions, with 1,439 of those allowed to continue on appeal. That year, 782 arrests were made after background check files were referred to local and federal authorities. Because the state system informs nearby law enforcement if a buyer is the subject of an active warrant, 95 fugitives were arrested in 2014 after trying to purchase guns. At the federal level, investigations run three days. If a red flag is not verified as a problem, the gun is sold. In Pennsylvania, investigations can run 15 days. If an investigation is inconclusive, the gun can’t be purchased. Stolfer pointed to a 15-year-old rebuke from the FBI that describes the state’s policy as being in conflict with federal guidelines, something Stolfer sees as a clear example the state police is overstepping its authority. Price said it’s still a gray area. The department has asked the federal government several times for guidance on investigations, he said, but without a clear answer. He says the benefit to public safety is evident. “Sometimes the records are just very difficult to get,” Price said, explaining why those extra days might be needed. Even so, Bartolotta doesn’t think PICS works. The system goes down, too frequently and without notice, and sales can’t be made. Savage said his shop in Wilkinsburg was cut off from the system because he made a paperwork mistake. It cost sales, with his livelihood on the line, and he described the process to get reconnected as unnecessarily arduous. Sign up for our newsletter to receive everything PublicSource brings you in one weekly email. 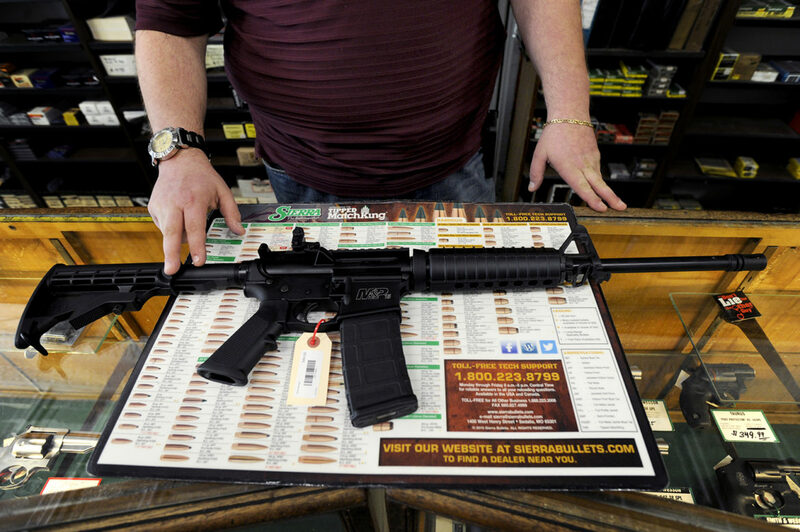 That’s not counting times when the system goes down statewide, something that Bruce Piendl, general manager of Anthony Arms in West Mifflin, said shows disregard for shop owners. Back in 2010, the state system was down a total of 95.7 hours spread across 38 days, according to the state. That time offline dropped to about 22.4 hours of outages across 23 days in 2014, the same year the state police installed a new online system to improve efficiency with a $991,000 federal grant. Previously, shops had to call a state police phone bank to run checks. Around 42 percent of those outages were due to failures of the national system, according to state police figures for 2014. Rep. Dan Frankel, D-Allegheny, said scrapping the state system because it might delay gun sales is unreasonable. He wants a system that pays for itself and runs effective background checks. Complaints over outages are a separate issue, Frankel said. Piendl said he isn’t happy with PICS, but his gripe isn’t with the fees. It’s like paying a fee after buying a car, he said, pointing out that $5 is not “an outrageous price point” for a pricey activity like shooting. But raising fees? He’d want to see an improved system and a justification for the increase. PublicSource web and interactives developer Natasha Khan designed the graphics for this story. If the public funds involved in operating Pennsylvania’s background check system achieve advertised goals, a conclusion I seriously question, then the public monetary input is worth while. This is more than can be said for a lot of the spending of public monies, courtesy of our elected things. By the way, respecting comment from Casey, as in U.S. Senator Casey, while he seemingly does not realize it, people with criminal convictions are already precluded from the purchase, possession, use and or ownership of firearms. How, I wonder, can a U.S. Senator be so ignorant?